In the winter of 1686, a French ship sank off in Matagorda Bay on the Texas Gulf Coast: the La Belle, one of four ships in explorer Robert de La Salle’s expedition to colonize the New World. 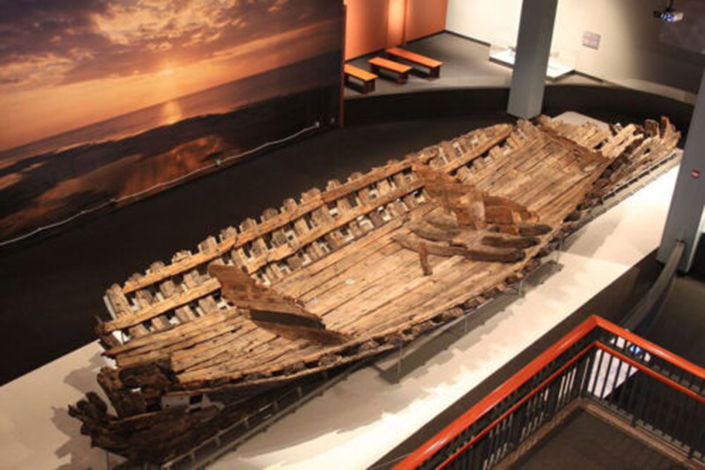 Today, the La Belle rests in the Bullock State History Museum in Austin, the result of a 17-year effort to restore the ship by researchers at Texas A&M University’s Conservation Research Laboratory. Peter Fix, a research associate in the Department of Anthropology, College of Liberal Arts, has managed the project from its early stages. “It’s been exciting, a huge headache and a huge frustration at times, but I love old ships and in particular this one,” he said. La Belle (“the beautiful”) was constructed in France in 1684. Its original measurements were 54 feet long and 14 feet wide. The ship was specifically designed with a shallow draft to navigate coastal and river waters. Archaeologists from the Texas Historical Commission discovered the wreck in 1995 and a small number of artifacts were brought to the surface. The Commission’s work to excavate the shipwreck began in September 1996 and lasted until April 1997. Except for the small sample of artifacts brought to the surface in 1995, all of the 1.6 million artifacts have been preserved at the Conservation Research Laboratory’s Bryan facility, and La Belle is the largest and most complex artifact in that collection. Fix says that work on La Belle has been an invaluable educational tool for the 83 students – the overwhelming majority of them Texas A&M graduate students from the university’s Nautical Archaeology Program – who have helped preserve and reconstruct the ship. In all, he says around 125 people have worked on the ship’s preservation and installation in the museum. To accomplish this, the Conservation Research Lab had to “freeze dry” each timber and then gently remove the remaining water. “Had we not used this method, the timbers most likely would have shrunk and distorted so much, they could not have been used to reassemble the ship,” Fix said.